With its world-class ski runs, plush resorts and upscale cultural events, it’s no wonder that Aspen is well known as a luxury destination, tucked away in the midst of breathtaking wilderness. After a long day of hiking incredibly scenic trails or riding down powder-covered slopes, you’ll want to venture downtown for another indulgent experience: dinner at Matsuhisa. Created by celebrity chef Nobu Matsuhisa, this eponymous restaurant features an exotic menu of Japanese, Peruvian and Argentine ingredients, fused together for a truly innovative dining experience. Expect to see melt-in-your-mouth sashimi, colorful ceviche, marbled washugyu beef and Asian-inspired cocktails, all prepared with artful flair. Despite the lineup of extravagant dishes, however, Matsuhisa’s pièce de résistance is something surprisingly unassuming: the broiled black cod with miso. 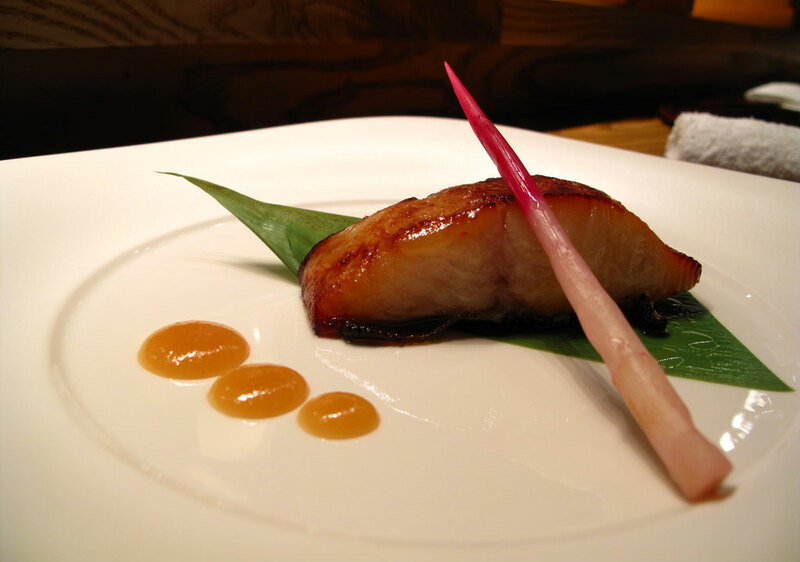 Before it’s cooked, the black cod is marinated for several days in a mixture of mirin (sweet rice wine), sake, white miso paste and sugar, which results in a sweet and savory flavor, as well as a delicate layer of char and glaze. It’s garnished simply: with a banana leaf, a couple dots of miso sauce and a shoot of pickled hajikami, a Japanese ginger plant with hot pink ends. No knife is needed to enjoy this dish; the succulent, white meat flakes off with the glide of a fork, making it easy to enjoy and to share — if you don’t eat it all first, of course. After dinner, stroll along Aspen’s quaint downtown streets, where art galleries, designer boutiques and intimate bars make for a fun evening of sightseeing and nightlife.